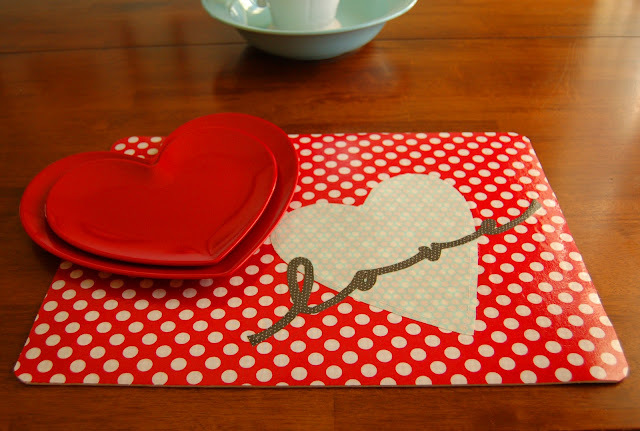 I happened to be browsing Pottery Barn Kids looking at their holiday decorations, and they had some Valentine’s Day placemats. I loved the idea of having cute placemats for holidays, but I didn’t really love the ones they were selling. 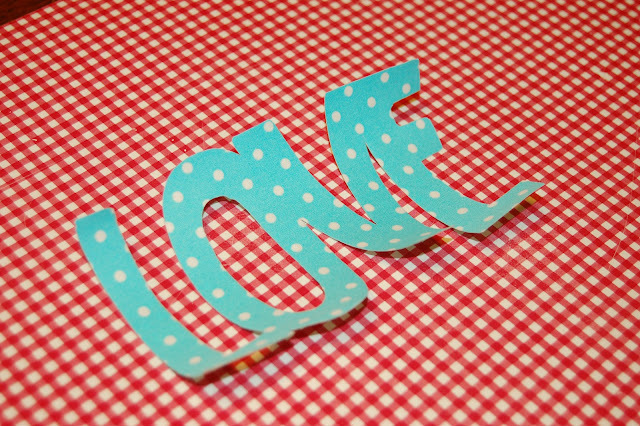 So I thought it would be fun to try to make some. 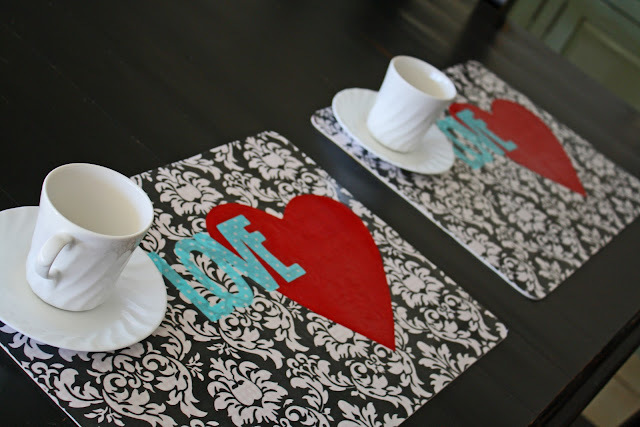 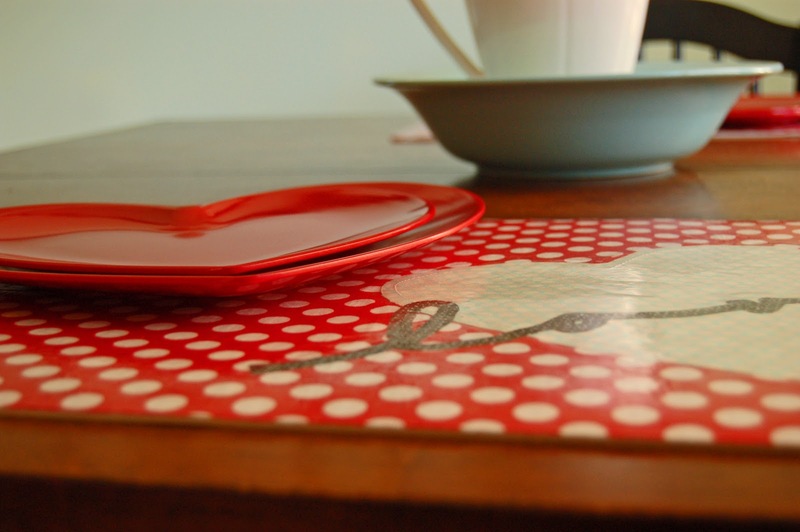 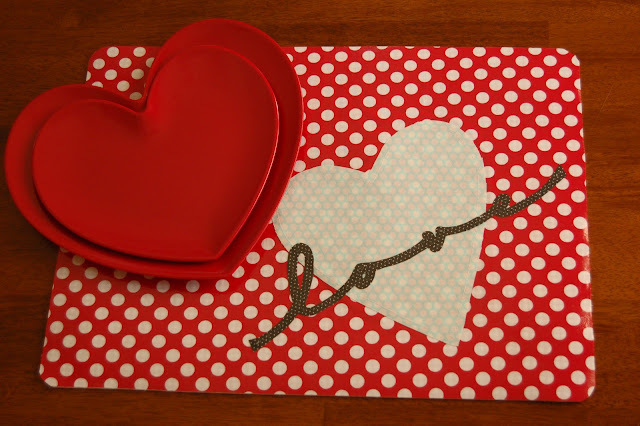 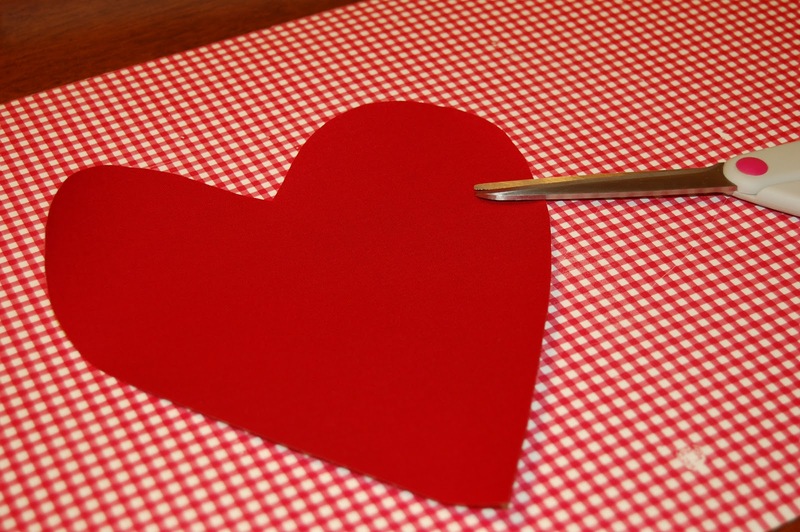 I called Autie and we put our heads together to make some fun placemats for this Valentines Day, complete with a tutorial for you to follow along! 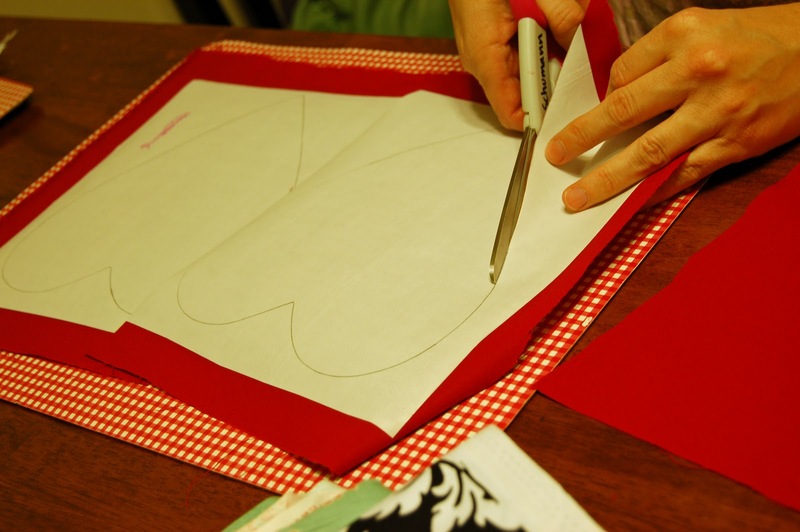 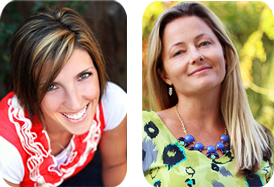 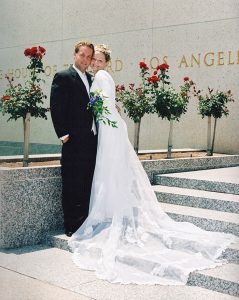 You can take this idea and run with it for just about any holiday or occasion. 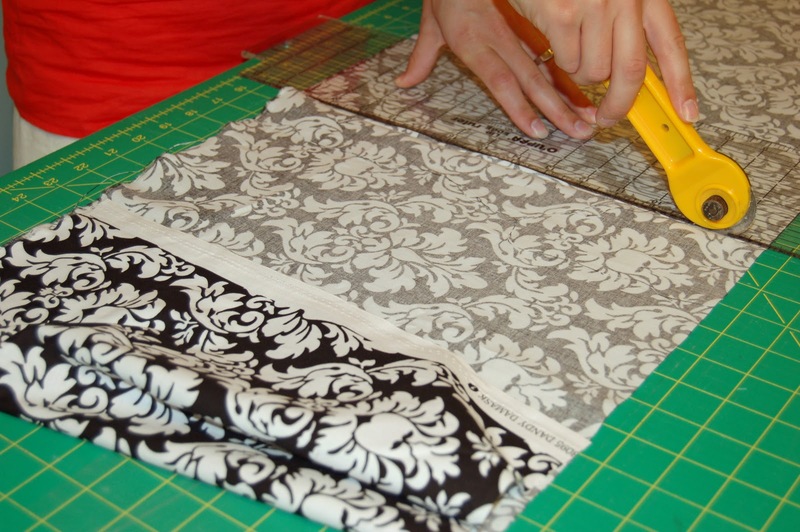 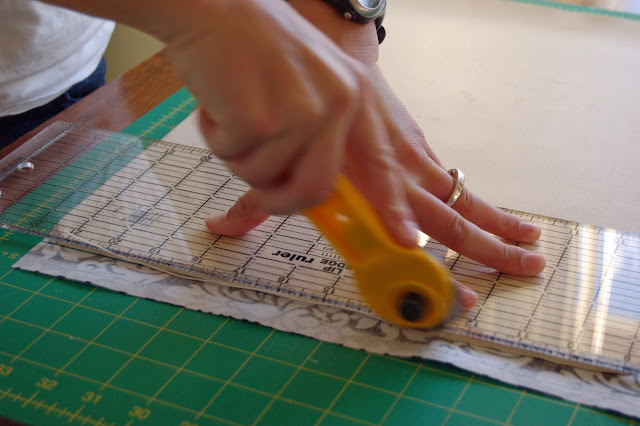 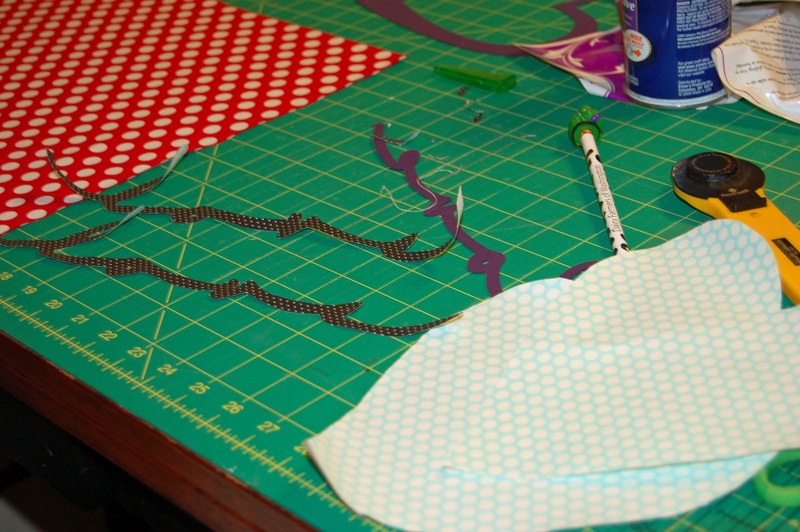 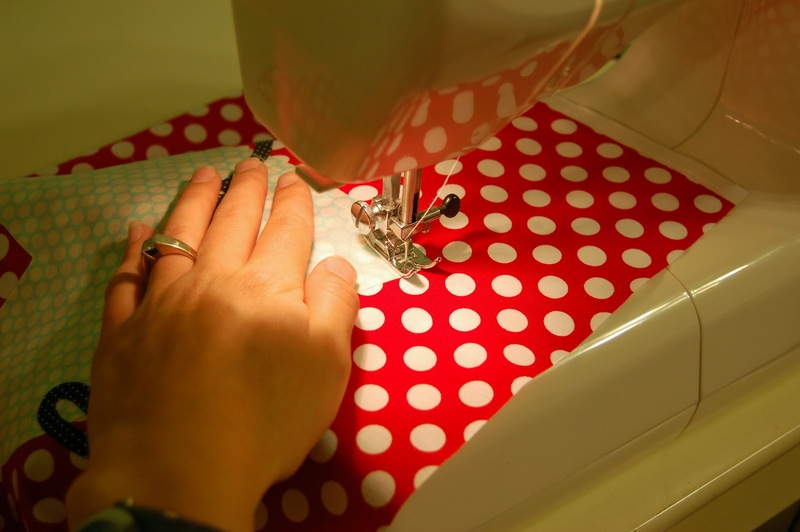 Step 1: Cut background fabric a little larger than your cheap or old placemats. 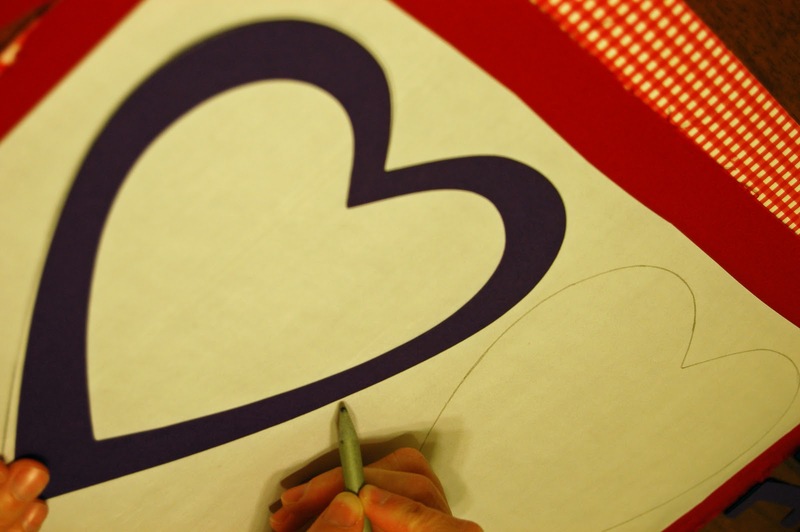 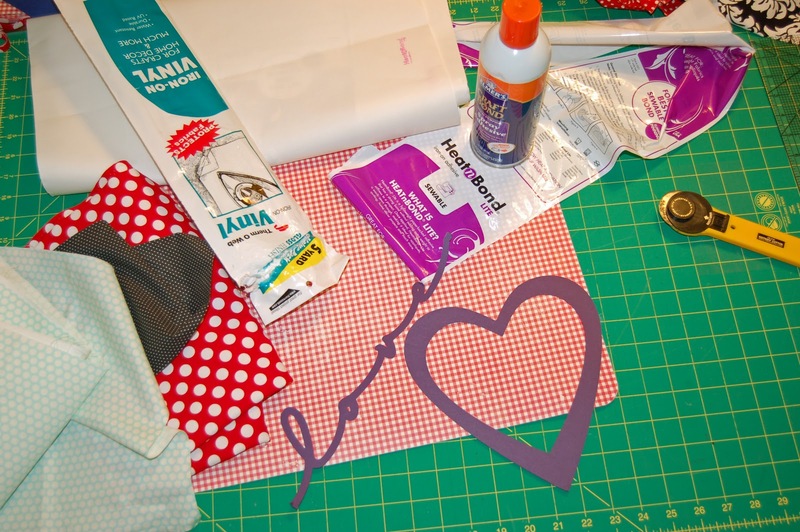 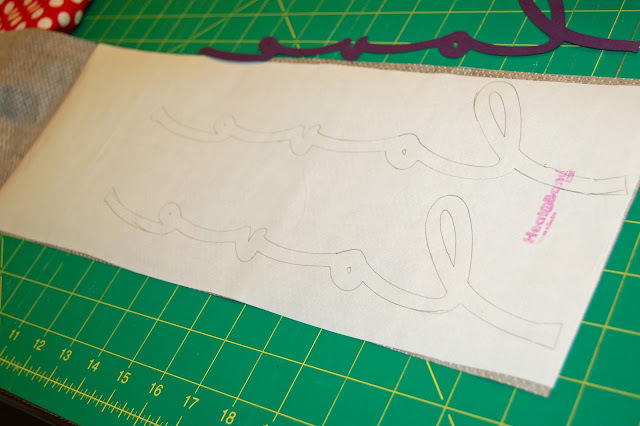 Step 2: Cut pieces of Heat n Bond or Wonder Under big enough to trace your accent designs on. 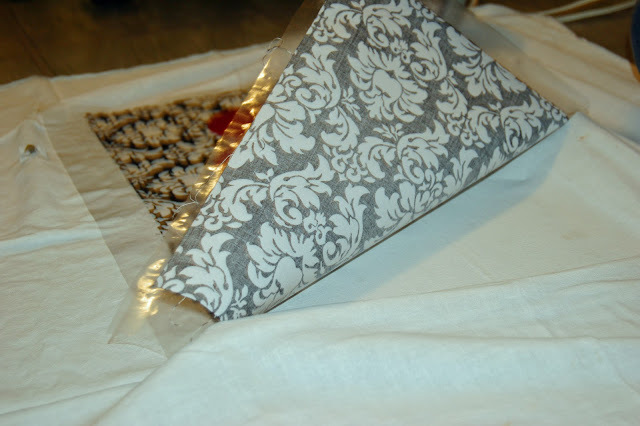 Step 7: Peel off the paper backing from the Heat n Bond, and place onto your background fabric. 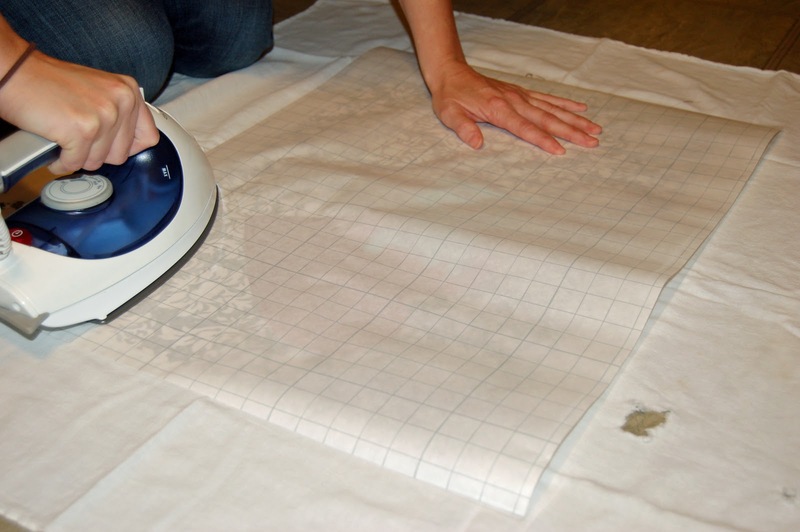 Step 8: Iron on your design. 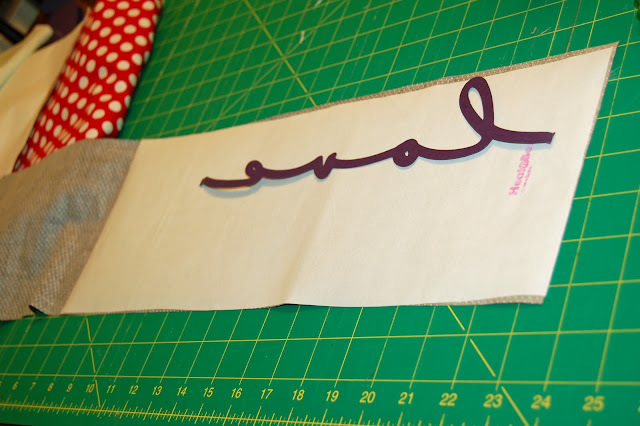 Step 9: Stitch inside the borders of your design. 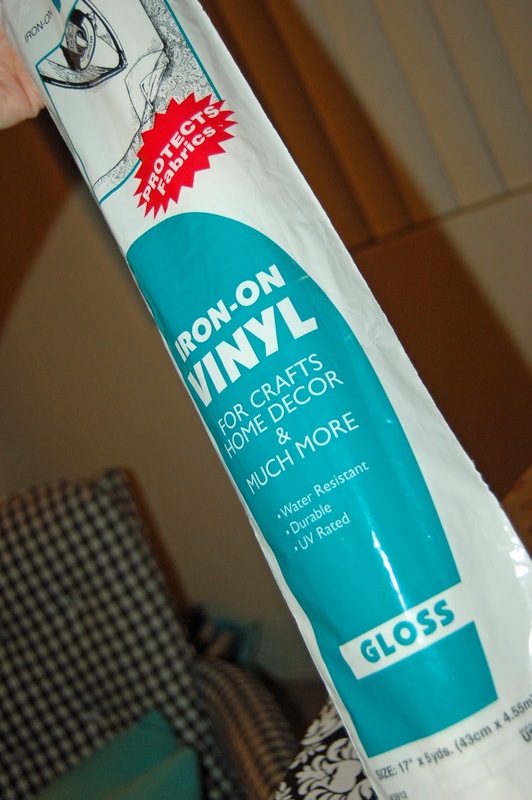 Step 10: Take your iron-on vinyl out of the package. Cut a little bit larger than your background fabric. 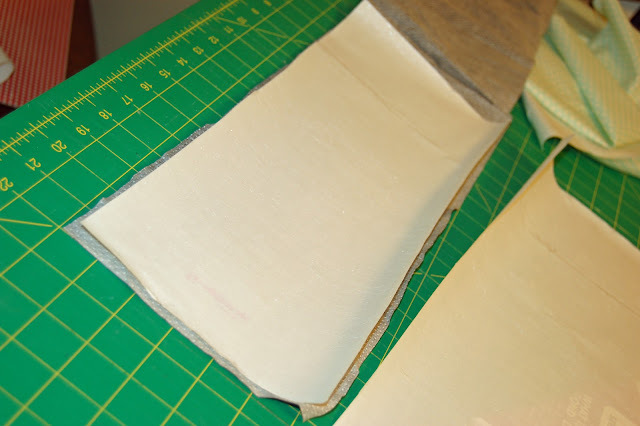 Peel off the paper backing. 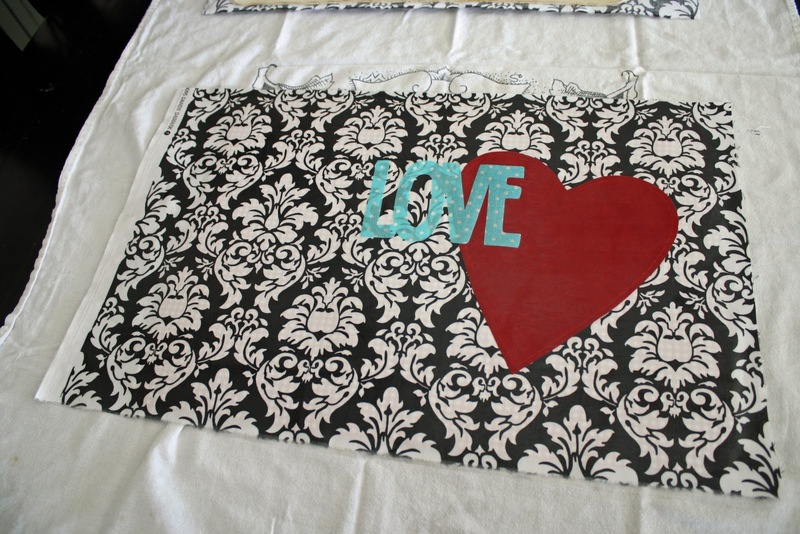 Step 11: Stick vinyl onto your background fabric, on a hard surface. 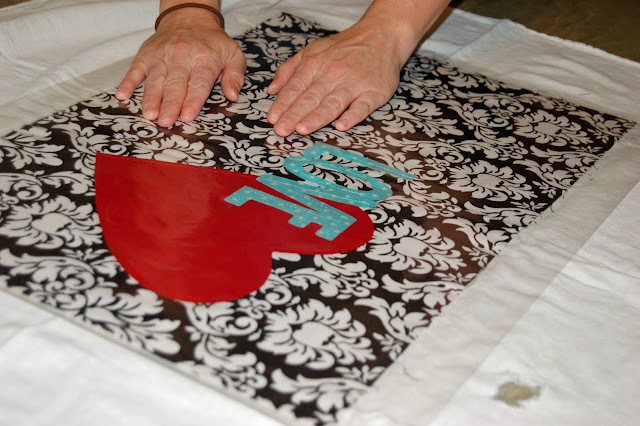 Step 12: Place the paper backing, shiny side down, back over the vinyl. 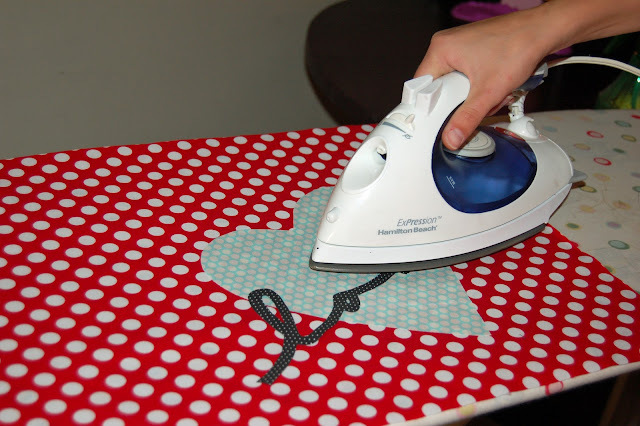 Iron, following the instructions on the vinyl package. 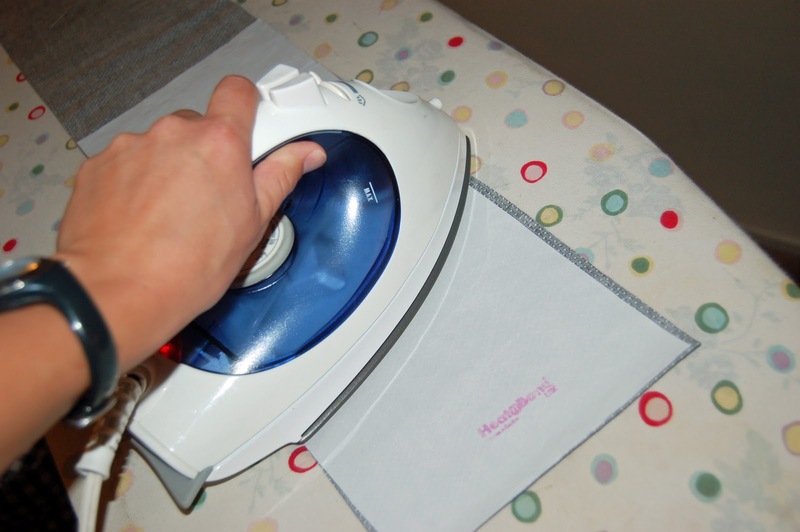 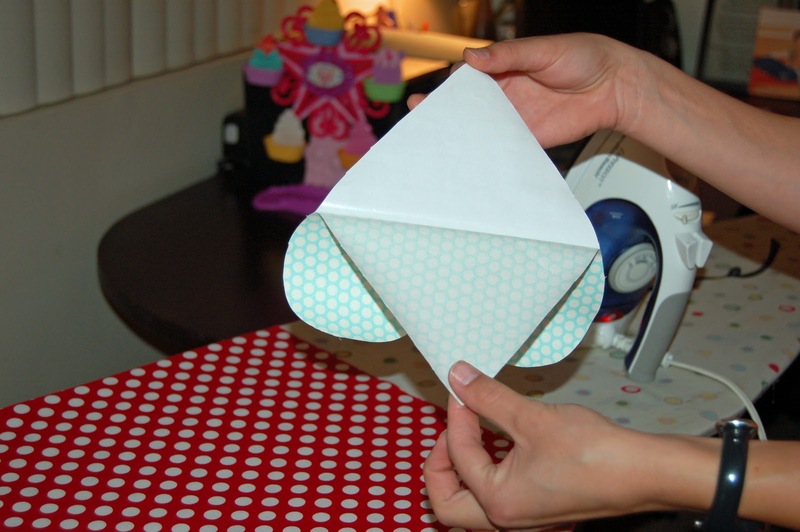 Take the paper off, and you will have a shiny fabric surface! 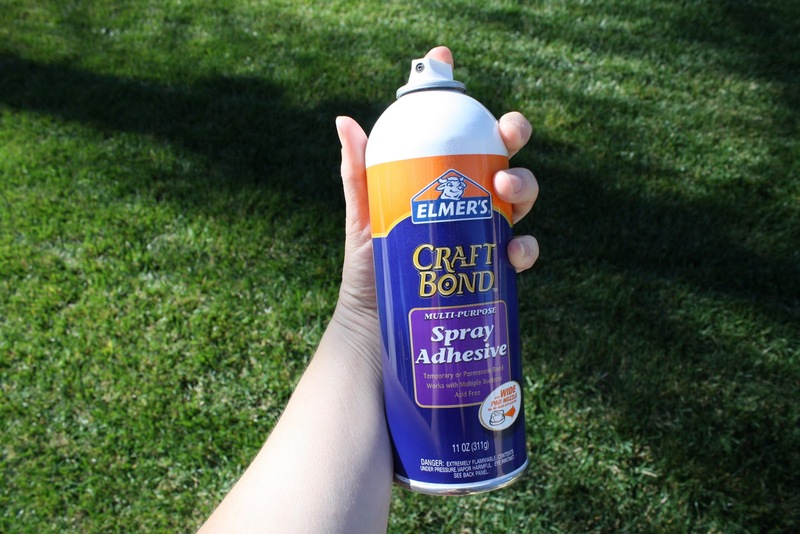 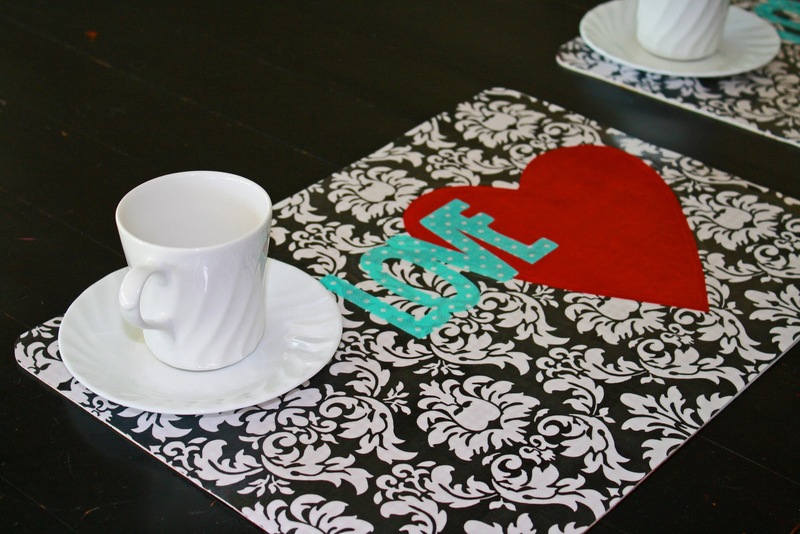 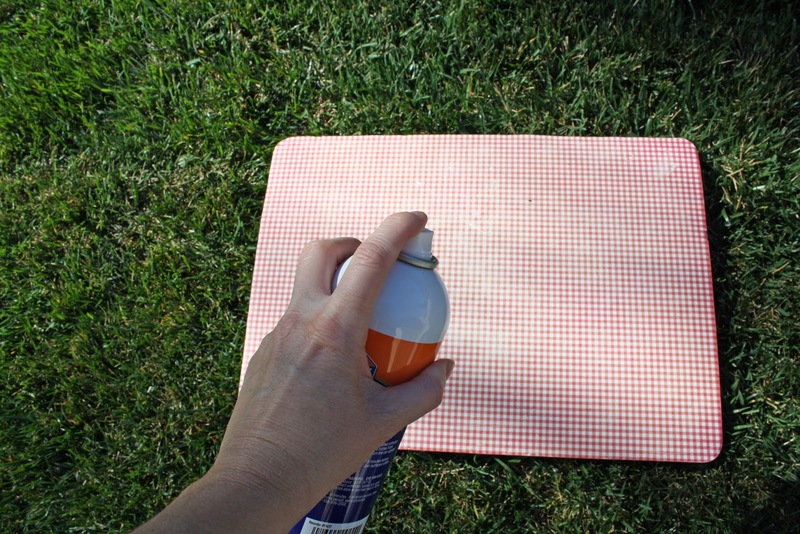 Step 13: Spray your old placemat with Spray Adhesive. Step 15: Lay your background fabric onto the sticky placemat. Smooth down, paying attention to edges. You can weight it down with books for better results. Let dry. 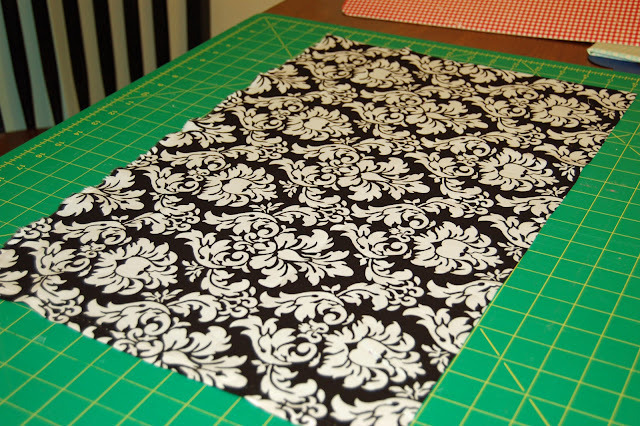 Step 16: Trim edges of the background fabric to match up with the old placemat.